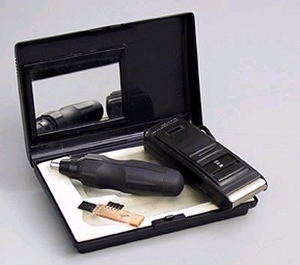 2pc Shaver/Personal Groomer. Shaver features side-burn trimmer and uses 2 AA batteries. Personal groomer uses 1 AA battery. Cleaning brush included and all in a convenient case for easy storage or gift wrapping.